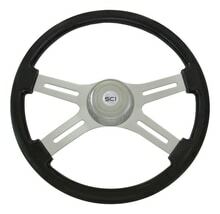 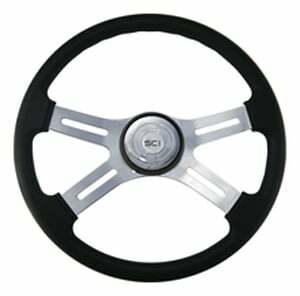 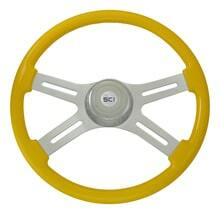 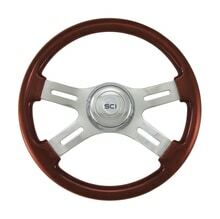 Classic designed solid wood steering wheel surrounds four high shine, chrome spokes and chrome horn button. 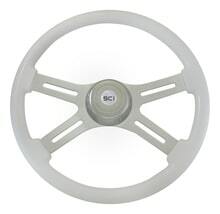 Spokes are solid with an indent in the center of each one. 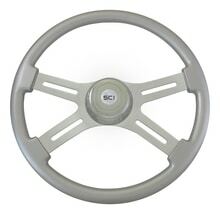 Many styles to chose from and most of them are always in stock!